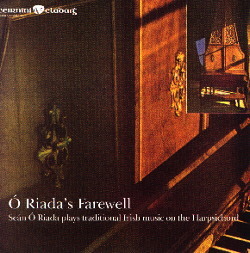 O Riada remains one of the major influences on traditional music. This record, made shortly before his untimely death, is the only one on which he plays dance music solo on the harpsichord. He plays dance music, classical Irish pieces and song airs; its a fitting valediction to a great, revolutionary career. Recorded in Log a' Lágha, An Tóchar, Conndae Chill Mhanntáin on the 11th August 1971 By loan Allen for Claddagh Records.